Angelic voices and music from the heart will feature prominently in two concerts being held next month in aid of the Community Chest Fund. The renowned Vienna Boys Choir will perform on March 20 and pianist, composer and conductor Ezio Bosso follows on March 25, both events being held at the Manoel Theatre, Valletta. The choir will also animate the 5.30pm Mass at St John’s Co-Cathedral, Valletta, on March 18. The Vienna Boys Choir has a long history: it has been singing at Vienna’s Imperial Chapel since 1296. In 1498, Maximilian I moved his court to Vienna, lock, stock and choir, founding the Hofmusikkapelle (Chapel Imperial) and the Vienna Boys Choir. Over the centuries, the Viennese court attracted great musicians like Isaac, de Monte, Fux, Caldara, Gluck, Salieri, Mozart, and Bruckner. Joseph Haydn, Michael Haydn and Franz Schubert were themselves choir boys. Until 1918, the boys sang exclusively for the court. In the 1920s, the choir was re-established as a private organisation and since 1926, Vienna Boys Choir has performed in 1,000 tours in 97 different countries. Gerald Wirth is its artistic director and its president. Today, there are 100 choristers between the ages of nine and 14, divided into four touring choirs. Each choir spends nine to 11 weeks of the academic year on tour. Together, the choirs give around 300 concerts each year, seen by almost half a million spectators around the world. The choir regularly tours Europe, Asia, Australia and the Americas. On Sundays, the boys perform with members of the Vienna Philharmonic Orchestra and the Vienna State Opera Chorus in Vienna’s Imperial Chapel, as they have done since 1498. In 2012, the choir openedits own state-of-the-art concert hall, MuTh. The repertoire includes everything from medieval to contemporary music. Motets, lieder and the choir’s own arrangements of Viennese music form the core of the touring repertoire. There are children’s operas and world music too. The first-ever sound recording of the choir was made on a wax cylinder in 1907; since then, the boys have recorded 43 shellacks, 55 singles, 128 LPs and 150 CDs on every major label. In 2015, the choir signed a long-term deal with Deutsche Grammophon. The first CD was released in 2015. Twenty-six films and 17 TV documentaries attest to the choir’s international appeal. In 2008, the choir began a collaboration with New York-based film-maker Curt Faudon; since then, four music films have been released. 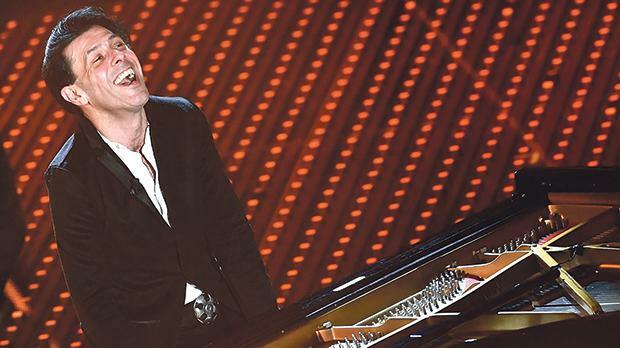 ALS sufferer Ezio Bosso says it is music that gives him energy. Bosso is one of the most influential contemporary composers. Until recently he was the principal conductor for the London Strings. Bosso was a child prodigy who received his musical formation in Vienna under the guidance of the most prominent tutors at the time. The talented artist suffers from ALS and he claims that it is music that generates his energy. He was born in Turin, Italy, in 1971. He learned to read and play music before the age of four, even before he could read the alphabet. He was introduced to music by his grand-aunt who was a pianist and his elder brother, also a musician. At the age of 14 he was bass player for a pop band but soon abandoned this genre to become a classical pianist, orchestral conductor and composer. At 16, he debuted as soloist in France and proceeded to play with major orchestras all over Europe. He has conducted foremost orchestras worldwide such as the London Symphony and the Santa Cecilia of Rome. Bosso has won several prominent awards, among which two David di Donatello awards. His compositions have featured in various films and theatrical productions both in Europe and the US. Bosso is today acclaimed by music critics as one of the leading musicians of his generation. In 2014, Bosso was invited by the University Alma Mater of Bologna, the oldest in the western World, to compose and conduct a full-scale work for choir and orchestra dedicated to the Magna Carta of Universities, which is the first official anthem of this institution. When diagnosed with ALS in 2011, he was determined that this would not stop him from doing what he loves most. After undergoing brain surgery for the removal of a tumour that happened, as he says, “in a history of the dark”, he had forgotten how to speak and to play and had to relearn everything all over again, but he did not give up.